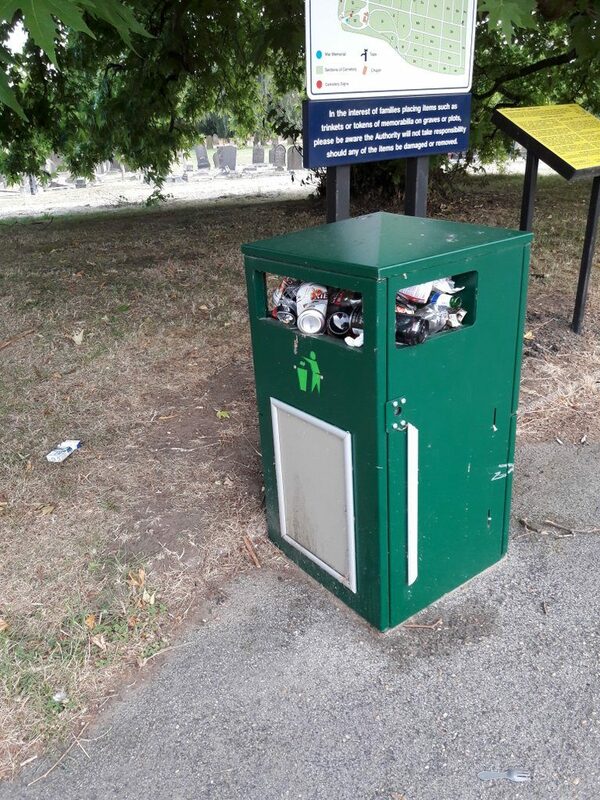 We are currently experiencing severe problems regarding the bins in the cemetery! 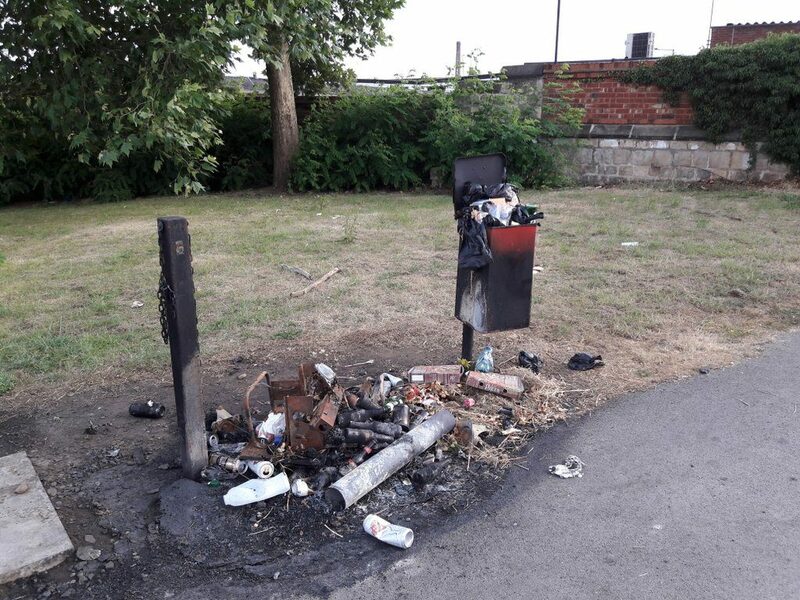 Four weeks ago, the large wheeled bin near to New Street was set alight and destroyed. (A similar incident occurred with the Green Dyke Lane bin last year). Despite it being reported by ourselves via the correct channels on the day of discovery, it had not been attended to by the time of our last inspection yesterday. 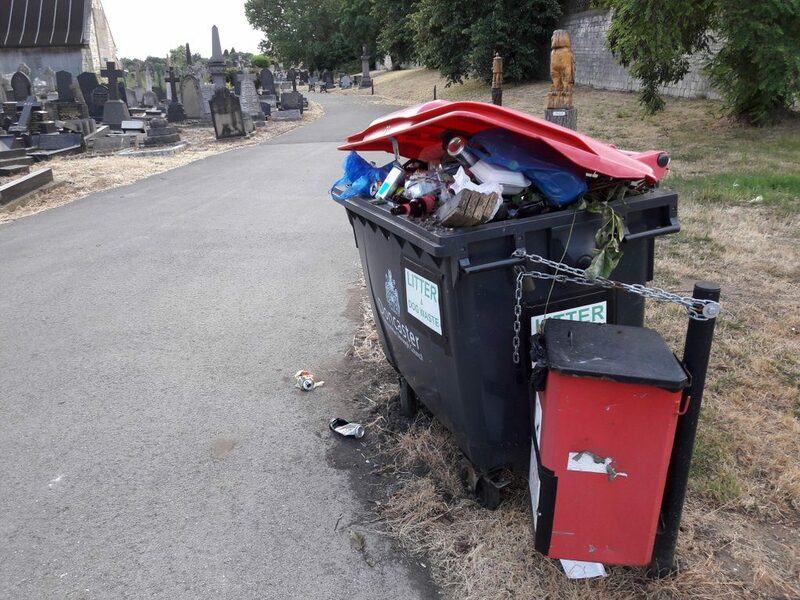 The loss of one large bin has exacerbated the issue of overflowing bins elsewhere in the cemetery. 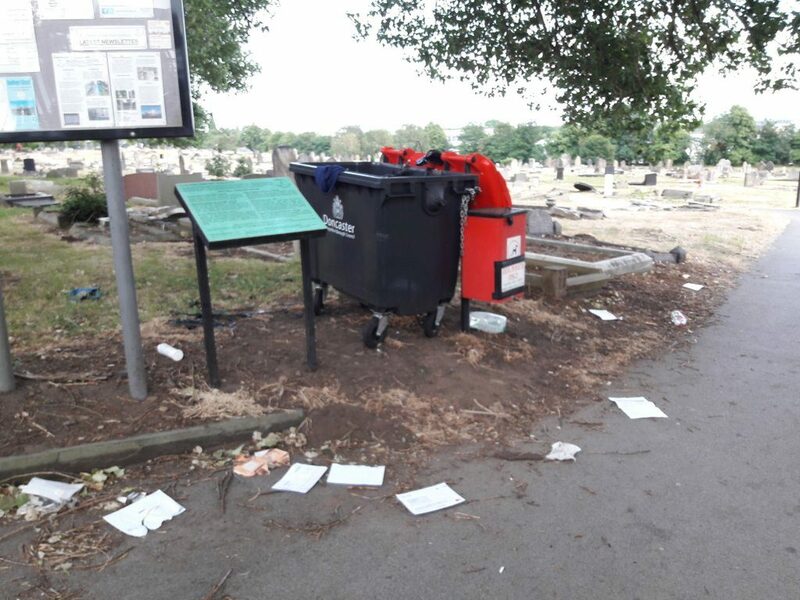 We have been in regular contact with the site’s owner/operator, Doncaster Council Bereavement Services, and they are doing what they can to resolve the matter. However, action is needed by other departments, who manage the waste collections. We are continuing to monitor the situation and to press for action. Problems such as this set back our cause significantly. 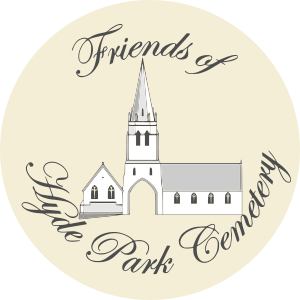 We have striven for years to make Hyde Park Cemetery a welcoming, tidy and pleasant place to visit. The current problems can cause immense harm to the reputation of the cemetery and to our group. We are doing everything we can to ensure that those responsible for waste management at the site discharge their responsibilities properly, without further delay.